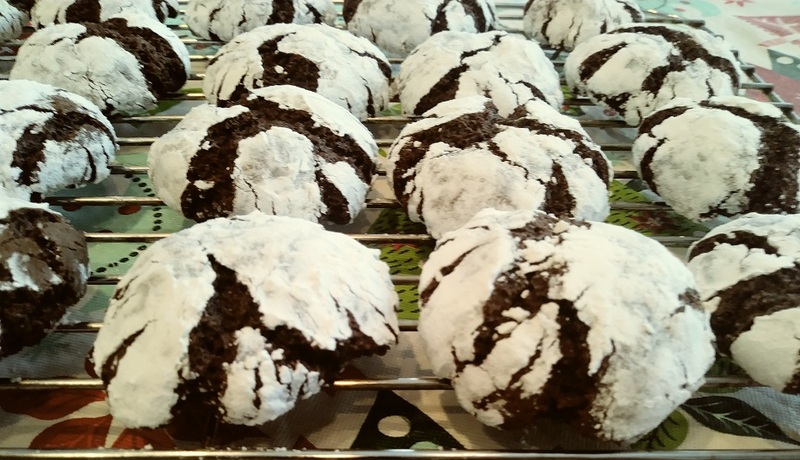 We haven't made these easy chocolate crinkle cookies for a couple of years. So, this year Fran found the recipe and we decided to add this one to our Holiday cookie list. These are so easy to make and oh so good. They're crisp on the outside and soft and chewy on the inside. Who doesn't love chocolate? The chocolate flavor is to die for. You can find many recipes to make these easy chocolate crinkle cookies using a cake mix or brownie mix. We prefer this easy to make homemade recipe. We always use our KitchenAid Stand Mixer. But, you can mix this in a medium bowl using a hand mixer. First mix together the cocoa powder, white sugar, and vegetable oil. Then beat in the eggs one at a time then, mix in the vanilla. Add the flour, salt, and baking powder into the cocoa mixture. 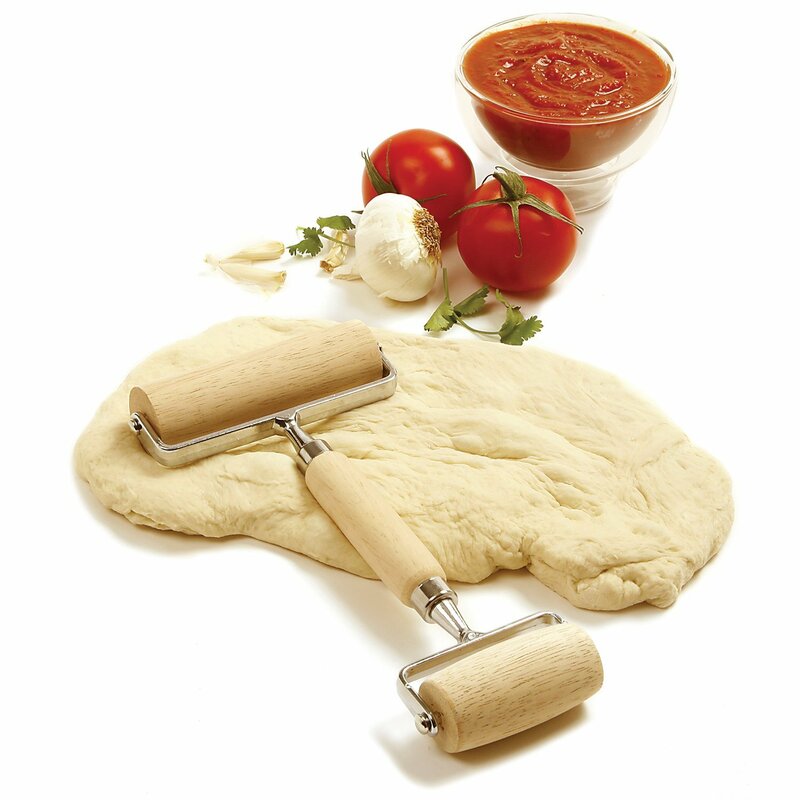 Mix this until a dough is formed. Then cover and refrigerate for four hours. 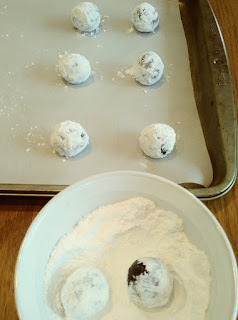 Roll the dough into one-inch balls and coat with powdered sugar. Place them on a cookie sheet lined with parchment paper. I'm not so perfect so some of mine were a little bigger. I preheated the oven to 350 degrees and placed them on the center rake. Bake for 10 to 12 minutes. Since I made some a little larger than one-inch I baked for about 14 minutes. Leave these on the cookie sheet for a minute or more then you can move them to a rack to cool. Oh yum!!! I haven't had these since I was a kid. Thank you for sharing the recipe! Give them a try Dawn. A wonderful sweet treat for sure. Thanks! Thank you for this recipe, I want to try make these. Self decorating cookies! Have a very merry Christmas! Thanks, Cynthia, I hope you enjoy these as much as I do. Easy to make these ones Pat, and I do hope it is what you remember. Thanks!